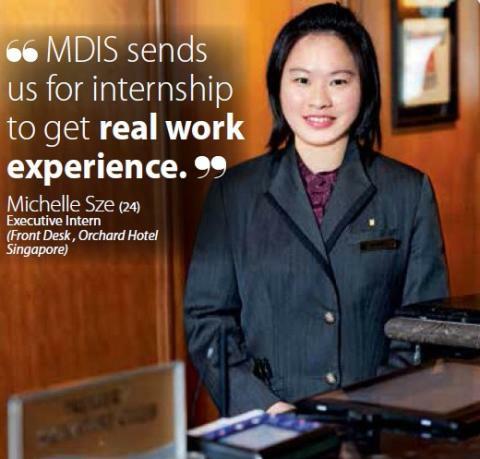 "MDIS sends us for internship to get real work experience." Michelle Sze, 24, Executive Intern (Front Desk, Orchard Hotel, Singapore). I chose to study for a degree in International Tourism and Hospitality Management because I love travelling and wanted to do something that I would enjoy. I decided on MDIS after reading a newspaper article which compared students from private schools and local universities. They reported that private school students were also able to find good jobs. What was the curriculum like? It had a mix of theory and practical learning. 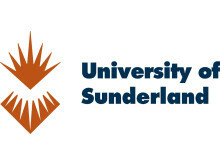 The degree course covered the history of tourism and its trends, as well as Strategic Planning for Tourism & Leisure, International Tourism Development and Travel, Tourism & Hospitality Human Resources. As I like history and travelling, my favourite subjects were E-Tourism, Urban Tourism and International Hospitality Management. How did you apply your classroom skills to your workplace?Though a lot of what we learnt inschool was theory, we did on-sitesurveys and projects to study tourismtrends. I am now better able toanticipate guests’ needs and wants. 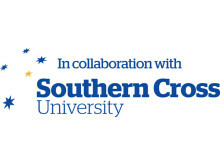 The programme gives students a working knowledge of the tourism and hospitality industries and can be completed in 32 months (full-time), including a six-month work placement. Spanning seven months(full-time) and 12 months(part-time), the programme equips students with anintegrated knowledge ofgeneral business and theoperations of the industry and includes field trips and hands on practicum. Article reproduced from 8 DAYS,issue #1322 May 29 2014, MediaCorp Pte Ltd.